Texdata International - ISKO celebrated the opening of its new state-of-the-art distribution center with a 360° Denim Seminar. The two-day event gathered together key industry players, brands and designers at ISKO headquarters, in Turkey. An exclusive experience right in the heart of innovation to provide a unique insight into ISKO know-how and knowledge. 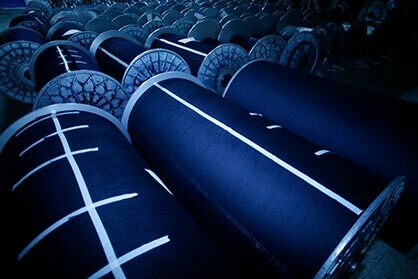 March 8th, 2019 – A culture of an all-around improvement is what defines ISKO’s approach to denim production, allowing the thriving of technological and creative potential of the company and its resources. 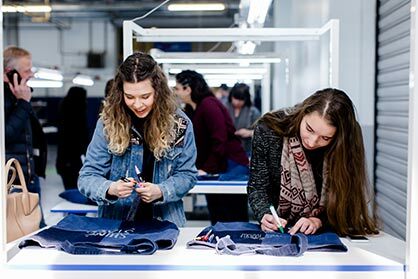 On March 6th and 7th the world leading ingredient brand hosted a 360° Denim Seminar to share its vision and expertise with key industry players, brands and designers. As the name suggests, the initiative was an all-out experience that took place right on the grounds where ISKOTM denim happens: the factory’s headquarters. Here a special highlight was the opening of its new state-of-the-art distribution center. This space – 40 meters high, 80 meters long and 45 meters wide – and has 128,000 cells/ locations, each is able to contain a fabric roll that can hold up to 500 meters of material. Seven automated robots process every single order, in a controlled environment where oxygen levels are kept at 16,4% to prevent oxidation and fires. As normal oxygen levels in the air is 21%, no human beings are employed here. The two-day event covered denim from A to Z, providing tools and know-how on everything from fiber to final garment. The occasion was a chance for the audience to learn about new fashion trends and ISKO’s latest sustainable achievements through its commitment to Responsible InnovationTM. ISKO keeps being at the forefront in terms of competence, creativity and citizenship. A wash presentation by IskotecaTM Director Moreno De Angelis. IskotecaTM is ISKO specialist resource for treatments, washings, finishings and a complete denim library that houses over 25,000 denims (and their “recipes”). As part of the seminar, on the first day two different guided tours gave ISKO guests the opportunity to see with their own eyes where and how ISKOTM premium denim is produced and distributed: the factory and the new distribution center. On the second day a workshop allowed them to get their hands on denim to customize a piece with different techniques.